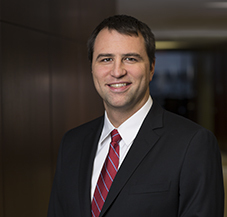 William N. Wright is an Associate in Cummings & Lockwood's Litigation Group and is based in the Stamford office. Will primarily practices in the areas of commercial litigation and trust and probate litigation. He represents individuals and institutional clients in a broad range of matters, including breach of contract actions, partnership disputes, employment cases, trust and will contests, lease disputes and other real estate matters as well as tax appeals involving both residential and commercial properties.